Purpose — assessment of a condition of the endothelial function within the healthy children of younger school age by means of a biochemical method of research. Patients and methods. 179 healthy children of younger school age were examined, who were carried out previously an assessment of an endothelial function by means of ultrasonic triplex research. The condition of an endothelial function was estimated by method of the immunoenzymatic analysis with determination of level of an endothelin-1 and total amount of an oxide nitrogen in a serum of blood. Results. Depending on the concentration of an endothelin-1 and oxide nitrogen in the blood the group of healthy children has been distributed on the 6 subgroups. The revealed changes are noted in the 2 subgroup in the form of increase of the concentration of oxide nitrogen at normal concentration of an endothelin-1, that means the compensatory vasodilatation is noted. Within the children in the 3 subgroup — a tendency to decrease of concentration of oxide nitrogen with the increase of an endothelin-1, that means the emergence of a vasoconstriction with the insufficiency of the vasodilative of factors. In the 4 subgroup the authentically high rates of oxide nitrogen as a result of a tendency to the increase of entdothelin-1. The children from the 5 subgroup are revealed the reliable decrease of endotelina-1 with the normal concentration of oxide nitrogen, that means the vasoconstriction is characteristic. In the 6 subgroup the substantial increase of the concentration of endotelin-1 with the decrease of oxide nitrogen are observed. Conclusions. The conducted researches allow to consider the concentration of endothelin-1 in blood 1.54±0.08 fmol/mkl and nitrogen oxide 16.27±1.72 μmol/l as the standard indicators of endothelial function within the children of age between 6 and 9 years. The most adverse biochemical indicators of function and endothelin within the children of 5 and 6 subgroups that demonstrates inadequate reaction of vessels in response on ischemia and the expressed endothelial dysfunction. The children with these forms of endothelial dysfunction can be carried to a group of the risk of the development of cardiovascular diseases and recommend the carrying out the preventive actions. Key words: children, endothelial function, endothelin-1, nitrogen oxide. 1. Bulajeva NI, Golukhova EZ. 2013. Endothelial dysfunction and oxidative stress: a role in development of cardiovascular pathology. Creative cardiology. 1: 14-22. 2. 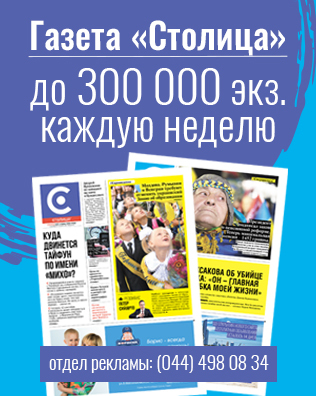 Didur MD, Cherednichenko DV, Lebedeva VN. 2012. Endotelialny dysfunction at high-class athletes. Sports medicine. 2: 26-30. 3. European clinical recommendations – about prevention of cardiovascular diseases. Review 2012. Russian cardiological magazine, application. 2012. 2;4(96): 1-84. 4. Lapshyna LA, Kravchun PG, Titova AJ, Glebova OV. 2009. The meaning of definition of nitrites – nitrates as dysfunction markers of an endothelium at cardiovascular pathologists. 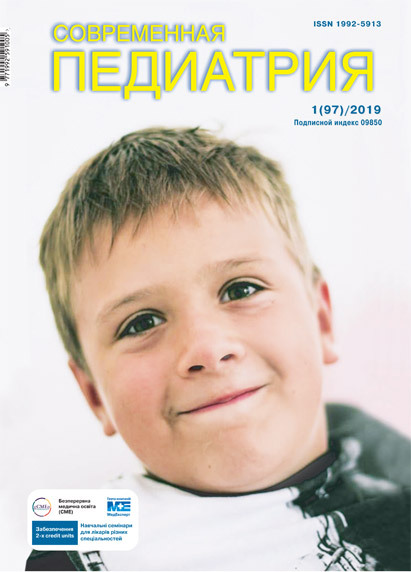 Ukrainian medical magazine. 6: 49-53. 5. Ignatova TB. 2015.The condition of endothelial function within the healthy children of younger school age according to the triplex ultrasonic research. Sovremennaya pediatriya. 8: 54-56. 6. Lishnevskaja VJ. 2014. Endothelial dysfunction: what the practical doctor needs to know. Medicine. 10: 27-30. 7. Nikonova VV. 2012. The condition of endothelial function within teenagers with arterial hypertension. Child’s health. 2: 31-34. 8. Liamina SV, Liamina NP, Senchehin VN et al. 2010. Endothelial biomarkers – potential predictors of a clinical current of an arterial hypertension within the patients of a young age. Arterial hypertension. 16; 13: 261-265. 9. Nikitin JP, Nikolaev KJ, Ragino JI et al. 2014. Endothelial dysfunction, hypertension, atherosclerosis. Novosibirsk: publishing house SO RAN. 132.